As the organic agents within the modified atmosphere respire, the air is naturally depleted of oxygen and becomes saturated by carbon dioxide or nitrogen as time elapses. 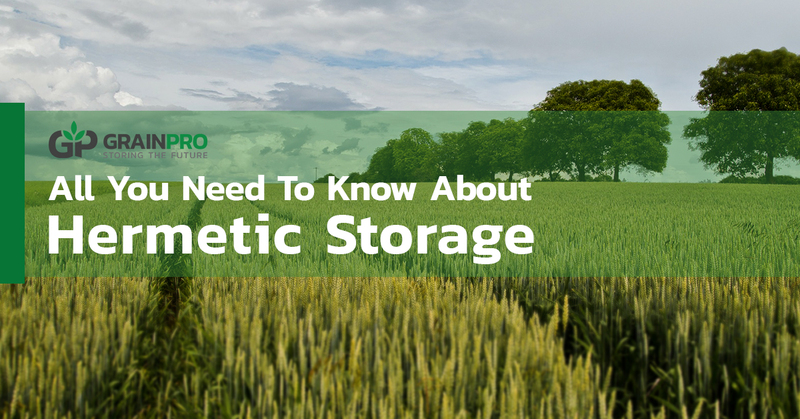 This means for a storage unit to be hermetic, it needs to be air-tight and moisture-tight to protect commodities inside. Hermetic technology today is primarily used for storing agricultural commodities such as wheat, grains, maize, coffee beans, and cocoa beans. These products can be preserved for long periods when stored at the right level of moisture content. This makes hermeticity, meaning air-tightness and moisture-tightness, an important factor due to the advantages of securing stored commodities from a number of hazards. One such risk is reabsorption of moisture, which can lead to drastic degradation of quality. This is especially important for high-valued crops such as coffee and cocoa. Hermetic storage is a popular choice to achieve preserved aroma, taste, freshness, and color. Another risk is the possibility of mold growth. At the right levels of humidity and moisture in the environment, mold can easily infest the stored commodities. This is especially true for staple crops such as rice and maize. Ingesting products made from commodities tainted with mold can lead to seriously adverse health effects. 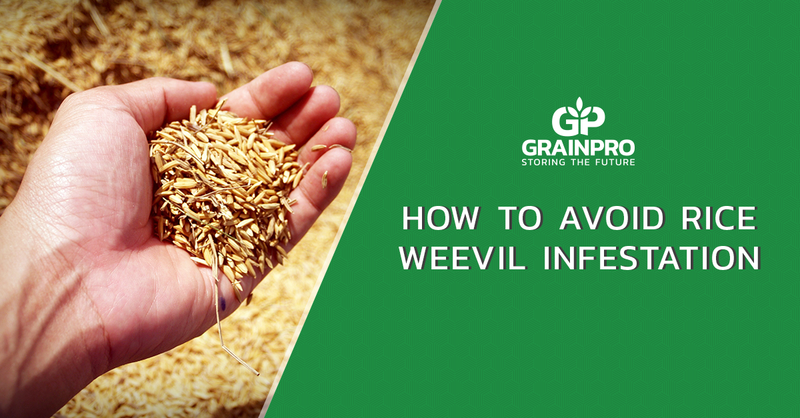 Without hermetic storage, insects can infest and damage the commodities. The hermeticity in a storage unit can control infestation, eliminating insects in egg, larva, pupa, and adult stages. Users of hermetic storage can also organically treat their commodities. By using carbon dioxide as a natural flushing gas, insects are eliminated without the use of harmful fumigants. For transporting products, hermetic storage can aid in protecting them while in long journeys. During trans-oceanic transfers, condensation can damage commodities that are unprotected. Lining the shipping container with hermetic material can tremendously help protect commodities. 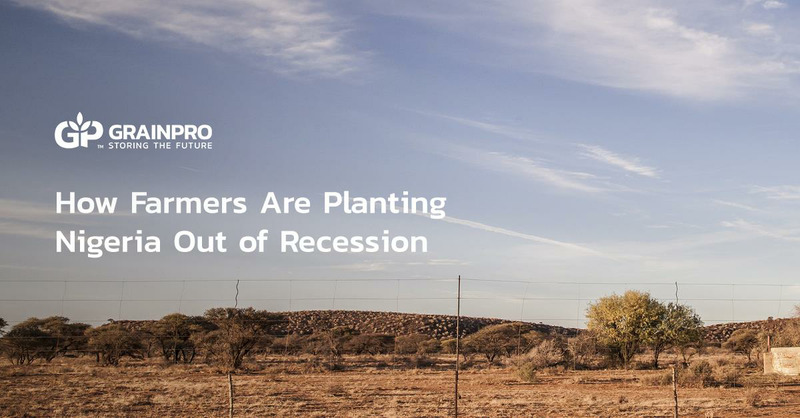 GrainPro’s innovative post-harvest solutions are perfect for users who want to use hermetic technology in storage and transport for their operations. 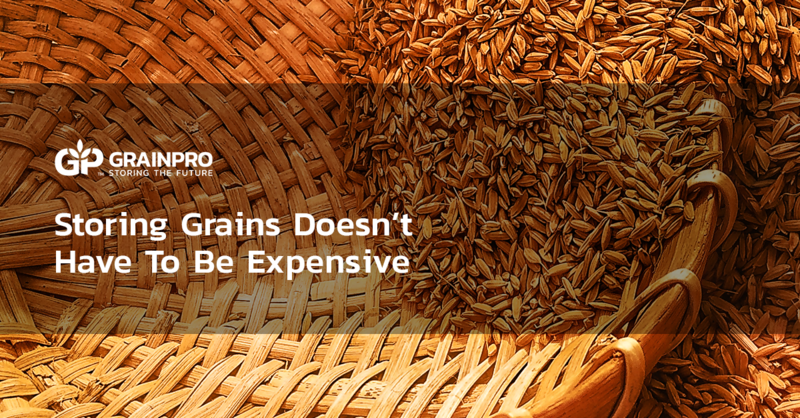 Ranging from capacities of 1 kg to up to 300 metric tonnes, GrainPro can cater to small enterprises as well as support large-scale operations. Various transport solutions can also be had from GrainPro’s wide array of products. 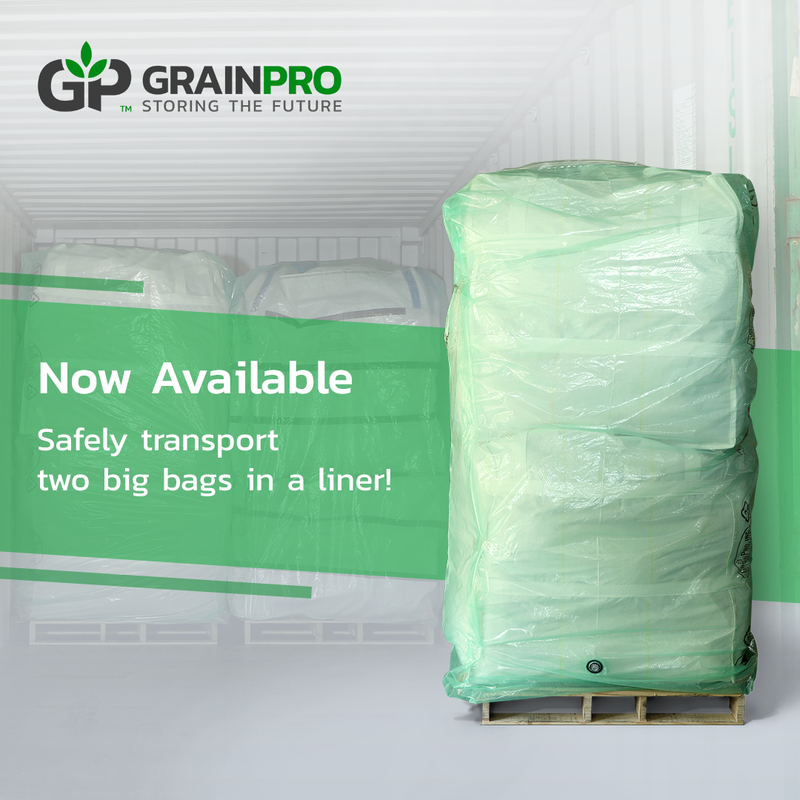 Whether simply bagged or packed in FIBCs, transport solutions are available for commodities being transported in a number of ways. Learn more about GrainPro’s solutions by clicking the button below.